Dear Apple, it looks like first time ever someone coming on your road to challenge(at least trying) iPad business. We heard many times of someone throwing a challenge at iPad and failed. But this time it looks like a real competitor with all the ammunition required for the fight. 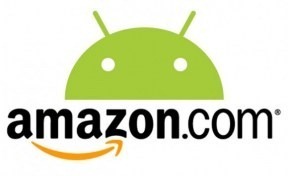 Amazon.com, the retail giant, seems to be all ready with a tablet and it’s called Amazon Kindle Tablet. the device is a 7-inch tablet with a capacitive touch screen. It is multi-touch, but from what I saw, I believe the reports that it relies on a two-finger multi-touch (instead of 10-finger, like the iPad uses) are accurate. This will be the first Kindle with a full-color screen. And yes, it is back-lit. There is no e-ink to be found anywhere on this device. He says it looks similar to Blackberry Playbook with a 7 inch screen and its going to cost $250. Just $250! and it’s half the price of basic iPad!! The biggest surprise here is the price at which Amazon is planning to sell. Many tablet makers struggled keep their price tags close to iPad and most of them were expensive than Apple’s iPad. But Amazon being a giant in supply/chain management, is all set to challenge iPad price tags.